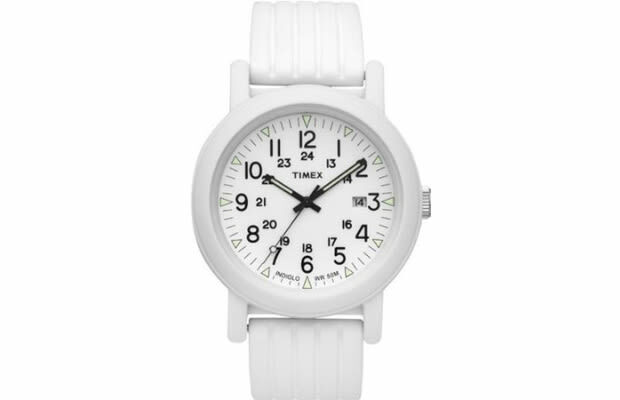 Timex Campers are one of the hottest affordable watches on the market right now, and this icy white version can keep your wrist on froze on a budget. Great way to complete the whole look without looking like the douche in the white sunglasses. Yikes.